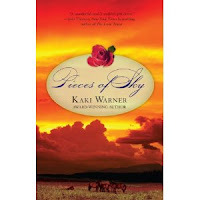 I am so thrilled to be hosting Kaki Warner today. I've fallen in love with American Westerns again through her Blood Rose Trilogy about the three Wilkins brothers from the New Mexico Territory. Though Kaki now lives in the Pacific Northwest, she grew up riding horses in the Southwest and her love of that land comes through in her wonderful books. She is also a proud graduate of the University of Texas. (Hook 'em Horns!) Several years ago, she and her husband left the city and moved to a cabin overlooking the scenic Methow Valley. Kaki now spends her time gardening, hiking, reading, writing, and soaking in the view from the deck with her husband and floppy-eared hound dog. ( I especially like the writing part.) For more information about Kaki, visit her website, sign up for her newsletter, read her blog, "like" her on Facebook and follow her on Twitter. CHASING THE SUN is Jack’s story—the youngest Wilkins brother. At the end of the first book in the trilogy, PIECES OF SKY, he is leaving for San Francisco in pursuit of his childhood sweetheart, hoping to marry her and travel the world once she recovers from surgery on her crippled hip. When the operation proves unsuccessful and Elena decides against marriage, Jack numbs his broken heart with alcohol and a young saloon singer named Daisy, then sails for the South Pacific. No one hears from him until the end of Book 2, OPEN COUNTRY, when he writes to say he’ll be home in a year. Not much of a writer, our Jack. Kaki, you had me smiling and laughing again just from reading your synopsis of Jack's story. I especially enjoyed the "beating the stink out of a weasel just for fun" scene. So well done and heartily deserved! American historical westerns were among some of the first romances I read and I’ve always had a special fondness for them. As an author, what draws you to this particular time and place? They say to write about what you know—not that I’m 140 years old. But I do know the climate, and horses, and I’ve chased a cow or two, and I’m familiar with the mindset of the typical Westerner (which hasn’t changed all that much). And I love it all. So when I sat down to start this trilogy, I wanted to give a (mostly) honest picture of the times and the place and the challenges early ranchers faced, but to soften it with a bit of romance. You accomplished your goal. I was immediately drawn into the "time and place" in each of the books. Do you plan to continue writing westerns? Will we see any of the Wilkins family in future books or is it time to bid them a fond farewell? At this point, unless they show up in a short story somewhere, or my publisher requests a follow-up, this is the last of the Wilkins family. I’m sad to see them go—they’ve been a part of my life for a long time. But I do have another trilogy in the works which is also set in the 1870s, but in Colorado this time. We love call stories here at the Dish. Will you share with us how you got the news of your first sale? There wasn’t a lot of squealing and hopping up and down, I’m sorry to say. I’m too old to squeal, and my knees are shot so I don’t do much hopping nowadays. And anyway, I sort of expected the phone to ring. 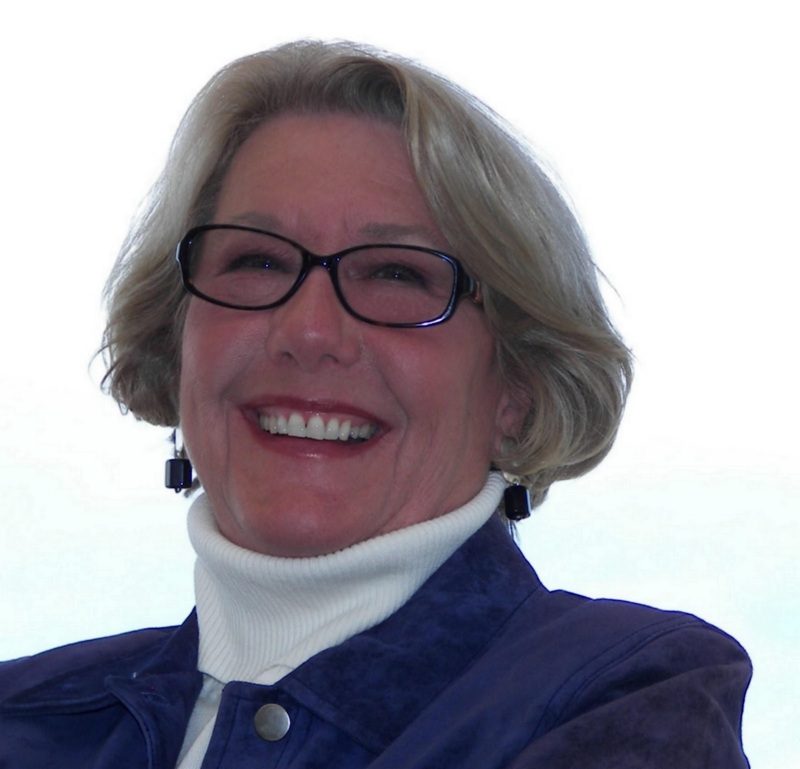 Let me explain: a few weeks earlier, I had signed on with a great agent (Nancy Coffey), who is an absolute pro with years of experience as an agent and editor. She said she could sell it. I believed her. And even more important, I believed in the book (the first in the trilogy, PIECES OF SKY) because, after all, I had been writing on the thing off-and-on for nearly twenty-five years. So when the call finally came, I mostly just sat there, blinking and nodding and listening, as if a lifelong dream hadn’t just come true, while thinking, well, it’s about (expletive deleted) time. Not very exciting, but there it is. LOL! What a great story! As a fellow non-squealer with shot knees I can certainly appreciate your reaction. And, speaking for myself, I'm so happy you never gave up on the dream. Do you have any advice for the unpublished authors among us? Never give up. Love your characters, because if you don’t, how can you expect an agent or editor to? Get all the feedback you can—discard half of it—use the rest. Keep it real (I know, in Romance that kinda defeats the purpose, but try anyway). And remember, no matter how much of yourself you put into your work, industry rejections are not personal. Finally, it’s your story, your voice, your plot—don’t write to please a critique group, an agent, an editor, or a market. Listen and consider…but in the end do it your way, as true and honest as you can make it. And did I say “never give up?” I mean it. Never. Ever. When you’re not busy writing your own books, what authors do you enjoy reading? Don’t make me laugh, PJ. Since I sold PIECES OF SKY to Berkley in late 2008, I have had to write three more books, come up with a proposal for a new series, promote books I and II of the Blood Rose Trilogy, tackle a website, write e-newsletters, design book teasers, shine with brilliance on blog-tours, cringe through book signings, and write my own blogs. Read other authors? Seriously? OK, I did read a very few—John Hart’s THE LAST CHILD, Bernard Cornwell’s AGINCOURT, the Texas series by Jodi Thomas, the latest by Julia Quinn and Eloisa James, and about fourteen others I never got to finish. I miss it. I know what you mean. There never seems to be enough hours in the day to read all the great books out there. Now for a fun, “what-if” question: Through the magic of our time machine, you have the opportunity to take any ten people (real or fictional) on a camp-out in the old west. Who will you choose and why? 1. My husband, because it would hurt his feelings if I didn’t include him, and because he would tolerate my whining better than the others. Long practice. 2. My daughter, because she’s a great cook and would bring lots of wine. 3. My daughter-in-law, because she’s an excellent nurse and could keep me alive. 4. My son, because he could write about the happenings and make us rich. 5. My son-in-law, because he’s a working fool and has a big brain. 6. Jack Wilkins because he’d be a hoot to hang with. And look at. 7. Brady Wilkins, because he doesn’t mind killing stuff. Like food. And he’d also be fun to look at. 8. Hank Wilkins, because he’d invent needed things. Like a flush toilet. And it would be fun to watch him while he did that. 9. Gerard Butler, because…ah…for research. Yeah, that’s it. (Book 2 of the new series does feature a Scotsman, after all). And he’s always fun to look at. 10. And finally, Cyndi and Janet because they could pray me out of trouble. ROFL! I may not be on the guest list but I'm coming too. No way I'm going to miss that much fun! It’s a brand new year, filled with fresh opportunities. What are you looking forward to in 2011? Staying alive. And finishing this next series. And moving up from almost nearly semi-famous status all the way to nearly semi-famous status. It’s a leap, I know. Speaking of your new series, what can we expect next from you? Any more books scheduled for publication in 2011? YES! And thanks for asking, PJ. The new series (Runaway Brides) launches next summer with HEARTBREAK CREEK. This series focuses on four women who head west to make new starts, but get more than they bargained for when they’re stranded in a dying Colorado mining town named…wait for it…Heartbreak Creek! This first book is about a Southern princess, so desperate to escape the reconstruction South, she signs on as a mail order bride to a struggling rancher with a hardened heart and four unruly children. More on that later. The second book is about an Englishwoman who gives up on her absent Scottish/soldier/husband and comes West on a photographic expedition. Naturally, he comes after her, as any braw Scotsman would. The third is about an almost-bride with a valise full of railroad shares stolen from the almost-groom that she left standing at the altar and who is now hot on her trail with revenge in mind. I'm marking my calendar now and making more room on my bookshelves! 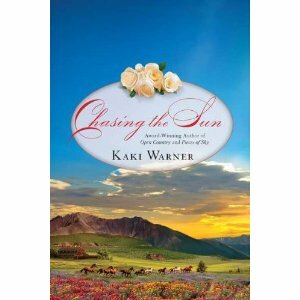 Thanks again for visiting with us today, Kaki and our best wishes for CHASING THE SUN. Is there anything you’d like to ask our readers? Thank you, PJ, for inviting me. Visiting The Romance Dish is a great way to start out the new year! For your readers: How “historical” do you want your historical romances (especially Westerns)? Or if you prefer contemporaries, how “real” do you want the setting to be? And HAPPY NEW YEAR, everybody! Kaki will be popping in throughout the day so please feel free to ask her questions about her current trilogy, upcoming trilogy or anything else you'd like to know! Oh wow, sounds like a western saga, I am going to have to check these out. I like for the historical details to be correct but since I didn't live then how would I know if they weren't?? Morning, Dianna! This is one trilogy you definitely need to check out. I loved all three of these books and can't wait until summer when Kaki Warner's new trilogy starts! Really, I love just about any book as long as it's well written. When I open the pages and I can get lost in a different time and place for a few hours...bliss! I just love to read Western Love stories and these books sound so good. Will have to look them up. I like some authenticity, with actual historical references, but I am not fanatical about it. I am all for bending fact to fit fiction. I prefer the author tells us she did that at the end of the book, and a lot do! All the best for your release, I love westerns, esp, historicals! Fabulous interview, PJ and Kaki! This trilogy sounds wonderful and I can't wait to read it! Like Gannon, I like for my historicals to be accurate, but it still needs to feel like I'm reading a romance novel and not a history book. Gannon, it's amazing how much history I've learned from reading historical romance. I was watching Jeopardy the other night and knew the answer to a clue...not because I had learned the fact in history class but because it was in one of my romances! 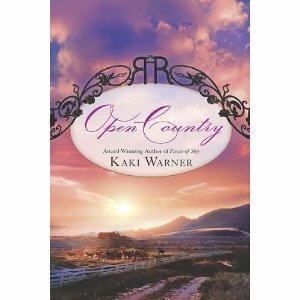 Mary Ann, if you love historical western romance you should definitely give Kaki's books a try. They are filled with adventure, humor, deep emotion and love - of the land, of family and between a man and a woman. Karyn said, What a great interview! Thanks, Karyn! I loved Kaki's answers! She had me smiling and laughing through the entire interview. I feel the same way, Trisha. I've read some romances where the author gets so bogged down in facts that I feel like I'm reading a history book instead of a romance. I like the "sprinkling" of factual details (as Gannon put it) but the story is of primary importance to me. Kaki excels at giving you a sense of historical "time and place" without detracting from the story. I like books that have emotional resonance, action is great but I need to "feel" the h & H, whether it's contemporary or historical. I tend to be drawn to character driven stories so "true to the times" details are a must. Hope you enjoy the series, Scorpio! If you haven't read any of Kaki's books yet, I highly recommend reading the trilogy in order as each book builds upon the previous one. Good morning! What great comments...and so EARLY (it's just 7AM here). Thanks for the warm welcome, ladies. And I agree with Gannon and Trish that the historical details shouldn't intrude. Sometimes it's difficult, especially when you come across an unusual fact, like... Charles Goodyear (the tire guy) also invented condoms. And there really was an outbreak of equine influenza that killed 25% of the nation's horses (80% in some places.) And there really was a plan to drop cynaide canisters from hot air balloons in the Civil War, and they really did use silver wire and horse hair to stitch wounds. And that's just the half of it. I could go on for days...fascinating stuff. Or, maybe I should do as Karyn suggests and put a historical footnote at the end. Good idea. And Mary Ann and Dianna, I hope you'll give the Wilkins boys a try (the books, I mean). They're a hoot. As a fellow writer, I'd just like to add that in addition to her talent writing, Kaki is incredibly generous in her support of new writers. Not only are her novels fun to read, but also her blog! Another terrific interview, PJ! I loved the Blood Rose trilogy, and I'm excited about the Runaway Brides books. I haven't added this many American historicals to my keeper shelves since Maggie Osborne stopped writing. And I copied Kaki's advice to writers to reread when I need to be reminded. It was just what I needed to hear today. Thank you! As for historical accuracy, I'm enough of a romantic in the Wordsworthian sense to want both the feeling of "incidents . . . from common life" and the "coloring of imagination." Wonderful quote, Janga! (And congrats on your school winning the Championship! Great game!) I'm so glad you liked the Wilkins clan. Good luck in your writing...and don't wait 25 years to send it out. Shelly, thanks for dropping by and for the kind words. And if any of those reading this want gut-wrenching emotion AND historical accuracy, read Shelly's stuff at dustbowlpoetry.com. That's good writing. Scorpio, I agree with you on character-driven books. I always find it more interesting to read why a person does what he does, although straight action plots can be fun to read, too. Charles Goodyear (the tire guy) also invented condoms. And Kaki, I KNOW you didn't choose to take me with you 'cause you know I"m not a fan of dirt and bugs, but if you were to go to stay at a spa--or a luxury hotel, I'm sure I'd be at least third on your list behind the female relatives. I get it. They are the gatekeepers to the grandkids. Gotta keep them happy. And I like my westerns straight-up--not on contemporary rocks. I want to know exactly what it was like back then so I can appreciate how far we've come and how blessed we are. Or when I'm feeling overwhelmed by technology and constant contact of cell phones and emails, I can immerse myself in your stories and the simplicity of the old west. Can't wait for the new series! Okay, so I can wait a year. I don't want you to get burned out. Welcome to The Romance Dish, Kaki! I have to say that I love a good western romance, so I will definitely track down your books. Gannon, do you suppose that's where the expression "laying rubber" originated? LOL, Theresa. The reason I didn't include you on the campout has nothing to do with grandkids. But with the Wilkins boys and whats-his-name...oh yeah, Gerard Butler...hunkered at my campfire, the last thing I need is a hot Italian babe drawing their attention. HA! And you won't have to wait a year for HEARTBREAK CREEK. It's out this summer...and set in your neck of the woods. Thanks for the welcome, Buffie. There are some great writers in Western Romance, aren't there? I appreciate that you'll give my books a try. Let me know how it goes. Hi Sshaver! Thanks for stopping by! You said, Not only are her novels fun to read, but also her blog! Janga said, I haven't added this many American historicals to my keeper shelves since Maggie Osborne stopped writing. I'm with you, Janga! All three of Kaki's books have places of honor on my keeper shelves where I can visit them frequently. Kaki, that's one of the primary reasons why I enjoy your books so much. Hi Theresa! Thanks for popping in today. I'm not a fan of bugs and dirt either but for the three Wilkins brothers and Gerard Butler? Oh yeah, I'd definitely put up with some dirt. Buffie, I think you're going to love these books! Kaki said, Gannon, do you suppose that's where the expression "laying rubber" originated? PJ, did I tell you yet you're in THE WILL. Thanks for all the kind and encouraging words. For me, one of the greatest things about being an author is hearing from readers. I've gotten the loveliest emails and comments on blogs and my website--they just make my day! Hello and welcome, Kaki! Congrats on your newest release and the success of the trilogy! I am a long-time fan of western romance and don't think there are enough of them on the shelves today. Between your interview and PJ's review, I have added your books to my TBB list. It's a great way to use those gift cards! I've enjoyed this series and can't wait to finish it. Andrea, thanks for adding the Wilkins saga to your TBR list. I hope you like them. And thanks, Runner10, for coming by today. I'm always delighted to hear from happy readers. I hope Jack's story lives up to your expectations. Congratulations to Kaki on her new book. I am not a big history nut so I like my books to feel like historicals but I'm not real fussy about everything being exactly how it was back then. I like historical fiction to be accurate. I don't mind if the dirt and smells aren't described but I find it takes me right out of the story if modern slang is used or a place name is the modern place name, not what it was called in the era I'm reading about. Good point, Chey. It's sometimes difficult to find the correct word for the era, but when it's wrong it really stands out. If the author misses it, hopefully the copy editor will pick up on it. Thanks for dropping by, Maureen. And I agree, if it's historical, it should FEEL historical, but the details shouldn't intrude. Runner10, sure hope you enjoy Jack's story. As you can tell from my review, I loved it! You are a new to me author but I love the premise of your books. I have to check out the series. Your new series sounds great too. Maureen said, I like my books to feel like historicals but I'm not real fussy about everything being exactly how it was back then. I'm that way to a certain degree. Not being a student of history, there have been many cases where I've loved a book and have been blissfully ignorant of historical inaccuracies while others have taken the author to task for it. For me, it's mostly language (modern words) that jerk me out of a story. Hi Chey! Thanks for stopping by. I'm with you on the language. Thankfully, it doesn't happen very often to me but there have been times when it's yanked me right out of a story. Kaki, thank you so much for visiting with us today and taking the time to respond to everyone's comments. Best of luck with Chasing the Sun and with your new series. Can't wait to read it! I had a great time, PJ! Thanks for inviting me. And thanks to all those who stopped by and left comments. Good stuff. I greatly appreciate the warm welcome and kind support. Be sure to check back in the next few days to find out who wins copies of Chasing the Sun! I have been saving the first two books of the series until the last one came out. I like to read them in sequence without a long time in between. the story line and characters stay fresh and I get more out of the stories. Your covers have been lovely. I love the sound of your next series and look forward to reading it. The next one sounds like I might be able to red them as they come out rather than wait for them all. Best of luck with this release and your next books. Hopefully you'll find a little more time to spend reading.